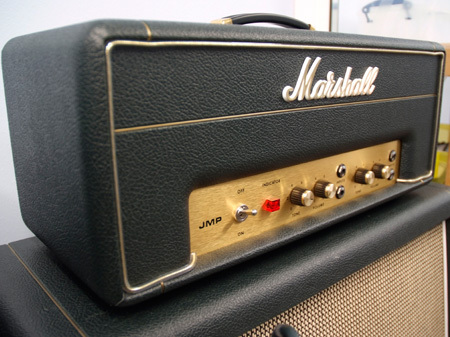 The X stands for reissue from Marshall Amps; but is this 2061X amp as good or better than the 1971 original? 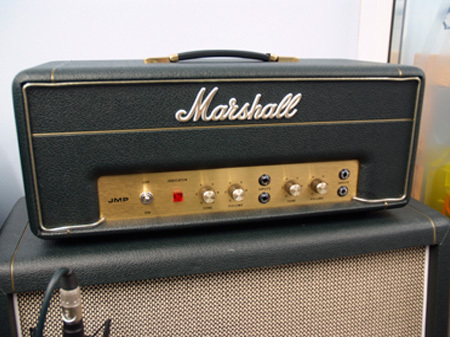 The Marshall 2061X amplifier is a reissue of the original 2061 which was made between about 1968 and 1973. The original amp was a hand made point to point main board and the transformers were made by Dagnall Transformers at that time. What do you get in this reissue? Marshall on this one released a Hand Wired amp with specifications as near as possible to the original - and it 's damn close. Take out the chassis and you are catapulted back to those early days when Jim Marshall and his team were making small(ish) numbers of these amps. 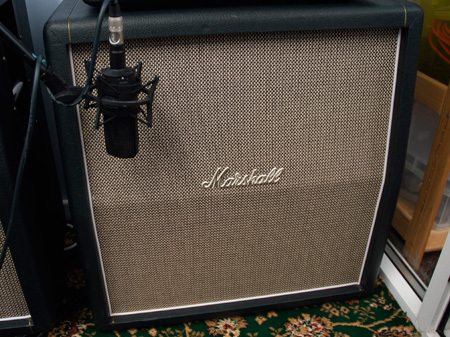 The old originals cost real money these days, and Marshall has identified a hole in the marketplace so the released this unit. If you want that original sound then this amp does deliver, and being just 20 watts or thereabouts it will not break your windows (but it might break your bank). If you do the jumper trick like on all old Marshall amps then this amp sounds really good. It's a strange little beast in many ways. Firstly it uses EL84 tubes which are not really known for the Marshall sound - and there's no Standby switch - it's either on or off. Because it uses EL84 there's no biasing tubes and all that palaver - you just plug the new ones in and away you go. One of the first things I did was to obtain some really old NOS (new old stock) tubes - Brimar from 1962 and fit them. Now that made a big difference believe it or not. But those tubes cost me about £50.00 pounds. So this amp in my book with a tube change is sheer magic. Crank it up and you get that familiar Marshall sound (I don't know how with these EL84's) and what's a little weird, is that if you turn up the treble (yes the treble) on the hi channel you get more distortion in a very good sort of way. By the way I was using the 2061CX cab that was specifically made for this amp. And that changed the tone to something great - as opposed to using this amp in a regular 4x12 - this sounded much better. 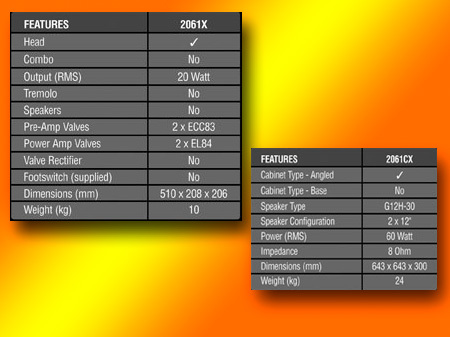 The 2061CX is actually a 2x12 and uses G12H-30 Celestions in there. 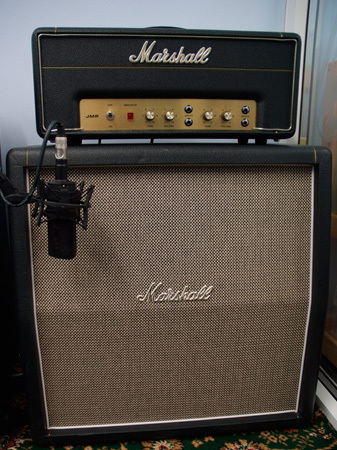 The cab is smaller than a regular 4x12 but looks the same design - really cool. With this cab it's good, without this cab it's less good. If you buy this amp AND cab (not just the amp) you will not be disappointed, but make sure you get both - and retube it with decent old tubes - it makes a lot of difference. The other bad bit is the price. This amp head retails for about £1100.00 pounds here in the UK and the cab is £500 pounds or thereabouts - totaling £1600.00 pounds for this small 20 watt rig. It IS a big investment but for some this is the golden fleece - in more ways than one. My rating though for this amp is 9 out of 10 - it is actually worth getting a well looked after second hand one to save some money - but EL84's tend to pop - so change the tubes without hesitation. This amp and Cab combination really is awesome especially if you want Classic Rock tones without that window breaking level of sound. But do take in to account that you CAN gig this amp - I reckon it's just loud enough. This amp might be good for funk and blues and maybe even jazz if you don't crank it too high. Recommended. and hare are some images of the reviewed amplifier but alas no video on this one.